illustration - BrainstormOverload - Small design studio. Big ideas. 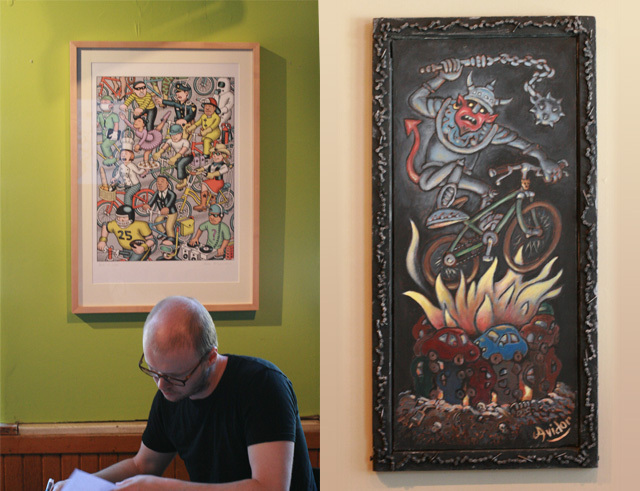 If you’re experiencing Artcrank withdraw never fear! 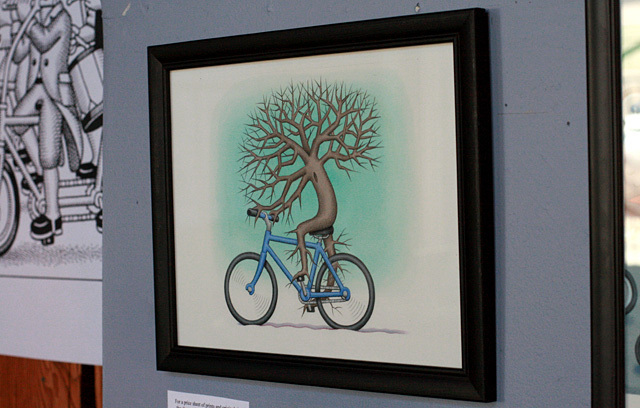 Durring the month of June you can immerse yourself in bike art down at the Black Dog Cafe. 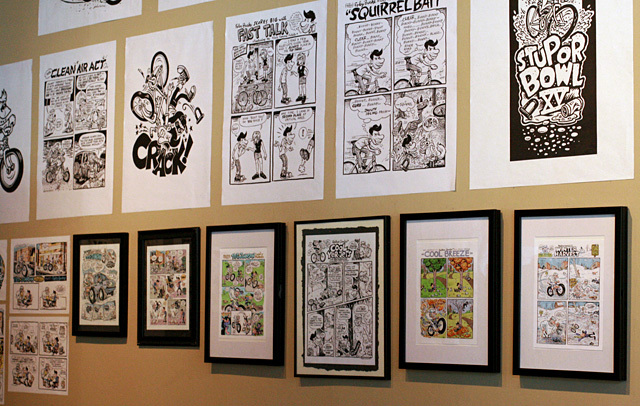 The Bike Comics Show will feature the work of three great local illustrators: Ken Avidor, Roger Lootine and Andy Singer. To get the full effect, and to celebrate Bike to Work Week ride on over to the opening reception at 7pm, Friday, June 8th, 2012. (Each of the artists has contributed his own self-portrait to the flyer below. ).